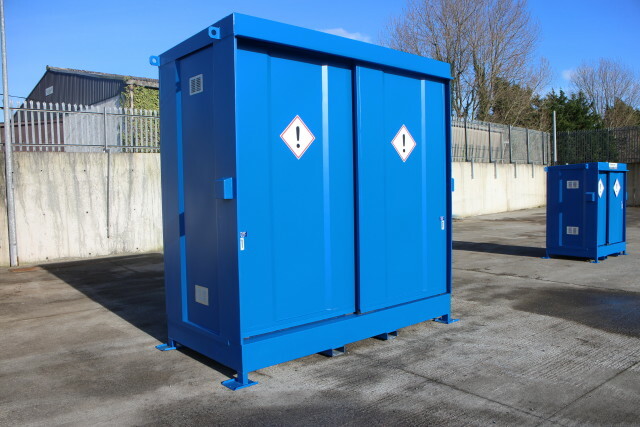 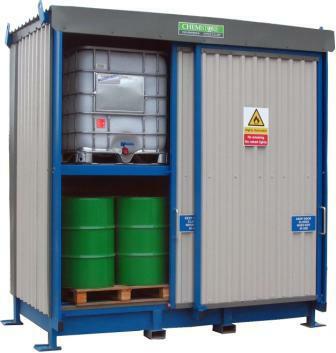 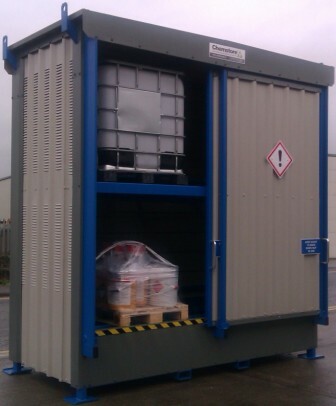 Delivered to site fully assembled, Chemstore’s Hazvault Multi Drum storage units provide an immediate solution to the problems encountered in complying with environmental legislation while storing large quantities of drums or IBCs. 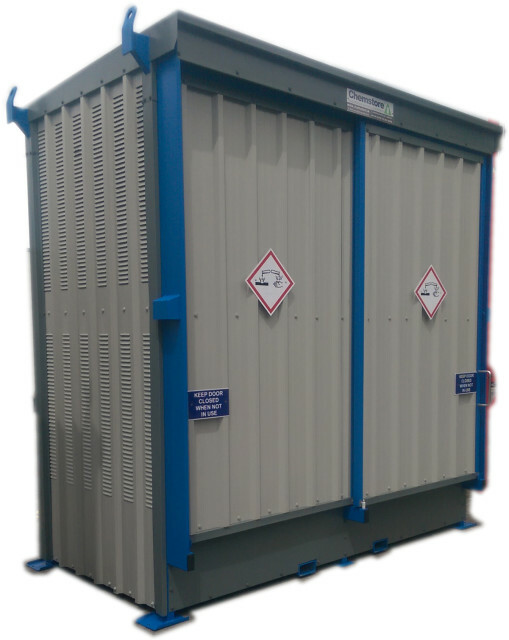 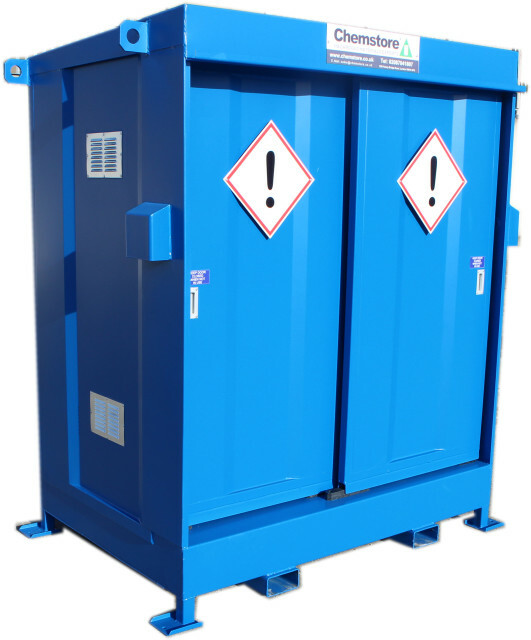 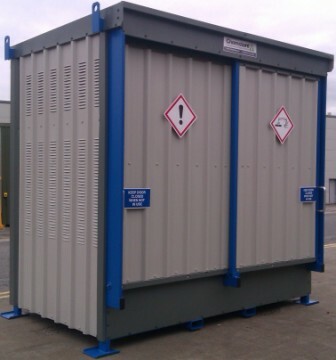 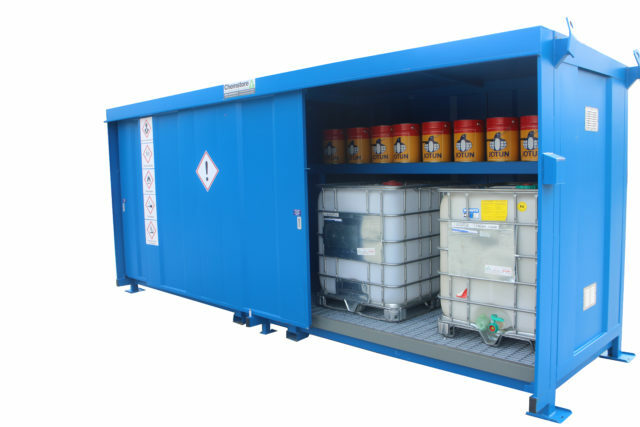 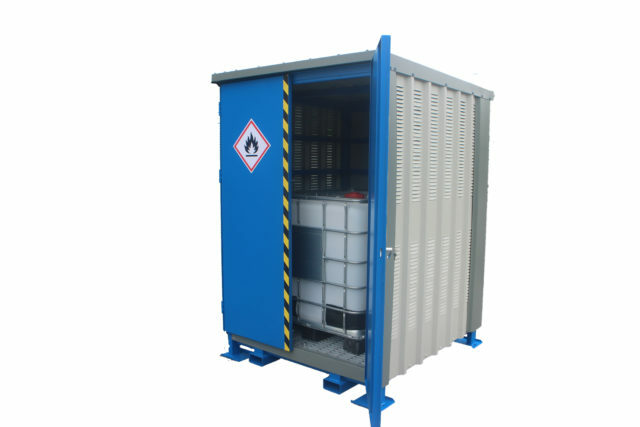 The Chemstore units are available in a range of size and storage options and can be customized to suit your particular site requirements. 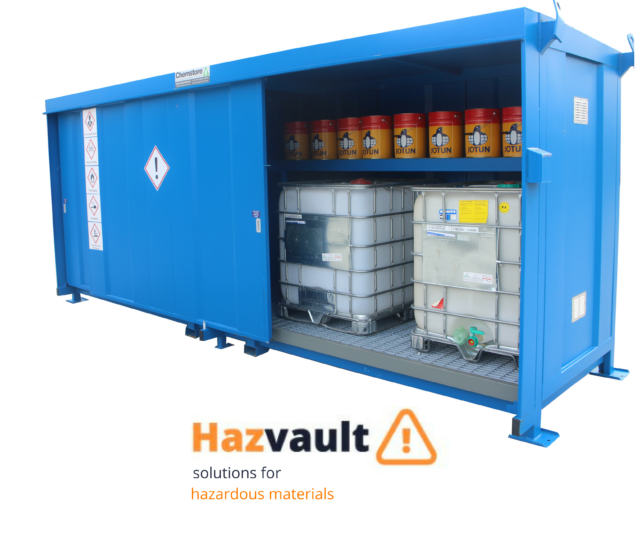 The Hazvault range is designed as an economic solution to your storage requirements for safe storage on site.